CHICAGO – May 14, 2015 – The RumChata Freedom Bottle program has returned this summer to continue The RumChata Foundations’s support for the Lone Survivor Foundation. The Lone Survivor Foundation (LSF) is a not-for-profit organization that restores, empowers, and renews hope for wounded service members and their families through health, wellness, and therapeutic support. Last year’s Freedom Bottle program raised $138,555 for LSF. Look for the RumChata Freedom bottle benefiting LSF at your local retailer! RumChata’s limited-time collection of red, white and blue logoed bottles are available now in time for Memorial Day and will be on shelves through the Fourth of July. Each bottle sold benefits and supports the Lone Survivor Foundation. Last year’s donation helped service members, veterans, and their families attend the LSF educational and therapeutic retreat program which focuses on coping with the struggles of the invisible wounds of war. Along with the support through the sales of the commemorative bottle, consumers also are invited to help raise an additional $25,000 through social media. Beginning May 18 through Memorial Day, The RumChata Foundation will be donating $5.00 for every post on Twitter and Instagram using the hashtag #RumChata4LSF. “We are very proud to be able to support all the incredible work the Lone Survivor Foundation does for our veterans,” said Tom Maas, RumChata founder and master blender. “We look forward to this year’s Freedom Bottle program generating even more support for the Lone Survivor Foundation’s mission. The Lone Survivor Foundation was founded by Marcus Luttrell, author of the 2007 #1 New York Times best-selling book, Lone Survivor, about his survival and loss of fellow service members in Operation Redwing. LSF provides unique educational, rehabilitation, recovery, and wellness opportunities to U.S. Armed Forces members and their families. The RumChata 750 ml commemorative Freedom Bottle is available in all 50 states at an average retail price of $19.99. 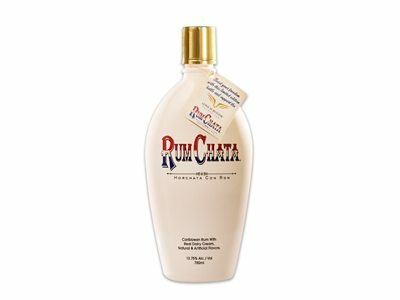 More about RumChata and where it is available can be found at www.rumchata.com and on the RumChata Facebook page. More about Lone Survivor Foundation can be found at www.lonesurvivorfoundation.org. PLEASE ENJOY OUR PRODUCTS IN A RESPONSIBLE MANNER.